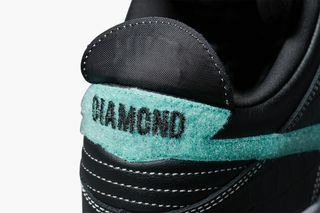 Key Features: All colorways are dressed in leather uppers with removable Swooshes that rip off to reveal Diamond Supply Co.’s signature teal colorway. 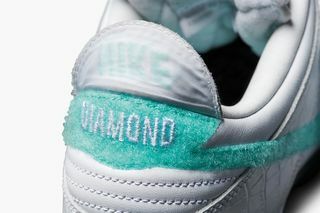 Diamond branding can be seen underneath the heel flap and on the tongue tab. 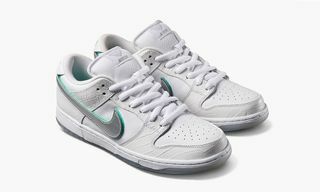 Release Date: The ultra-limited canary yellow version was initially meant to drop at ComplexCon on November 3, however this release was cancelled due to crowd concerns. 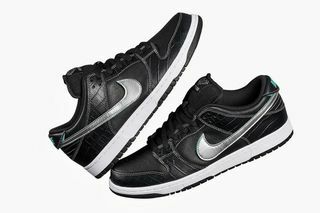 The black and white pairs were released at a pop-up in downtown Los Angeles on Thursday, November 8. 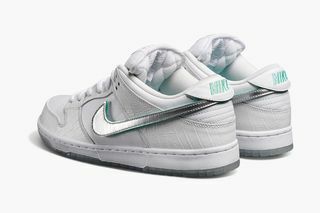 Pairs from the collection are scheduled for an official release today. 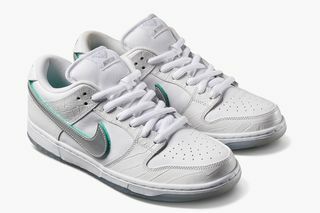 Buy: Specifics about the “Canary Yellow” pair and the LA pop-up are TBC. 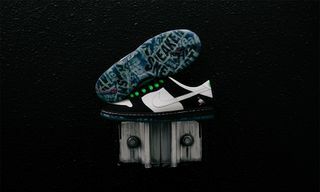 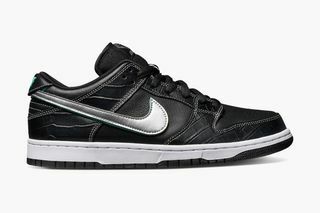 The black pair will be released at skate shops and via the SNKRS app, while the white version will drop exclusively at skate shops. 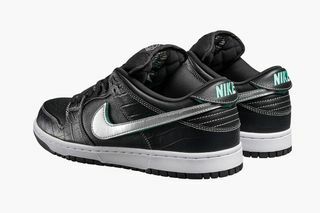 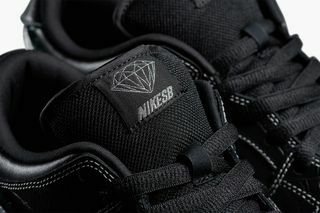 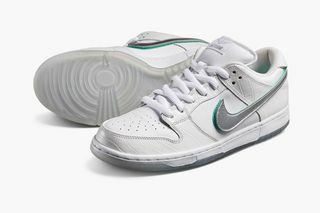 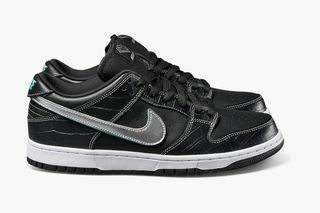 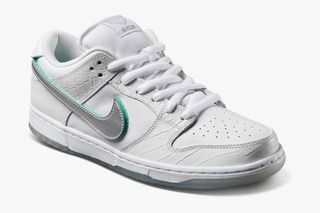 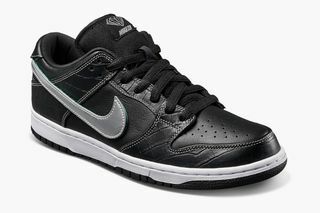 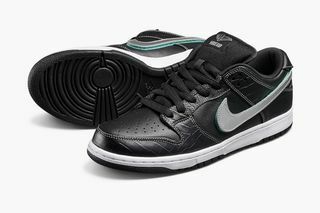 Editor’s Notes: Nike SB and Diamond Supply Co.’s history goes back to 2005’s “Diamond”/“Tiffany” Dunk Low, which later got a re-release as a high-top version in 2014. 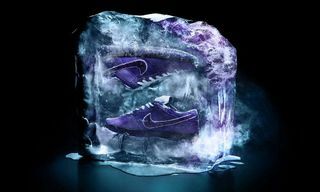 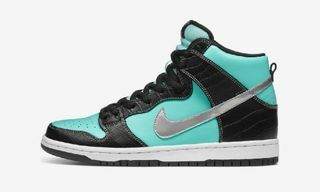 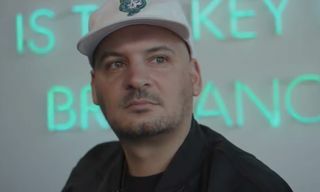 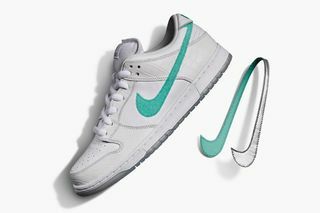 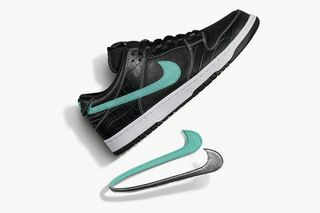 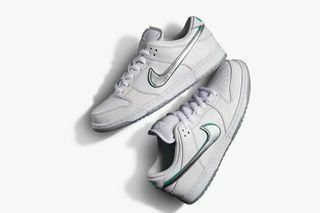 With chunky sneakers ushering in a revival of the Nike SB Dunk, the Swoosh and Diamond Supply Co. are dropping a new set of Dunks today, two of which feature the same teal “Tiffany” hue (as in jewelry retailer Tiffany & Co.’s blue diamond gift boxes), albeit hidden underneath a removable Swoosh. 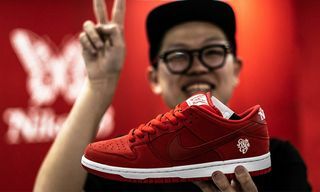 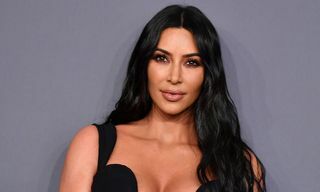 The third, a “Canary Yellow” pair originally believed to be for friends and family, was supposed to drop at ComplexCon in Long Beach, California in October. 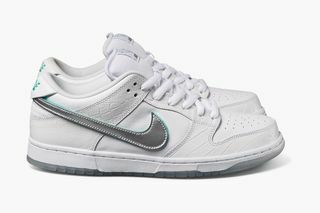 However, due to security concerns about the large crowds, the ComplexCon drop was canceled. 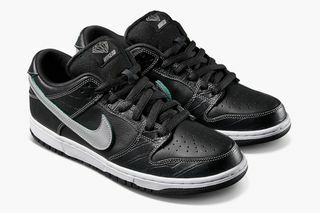 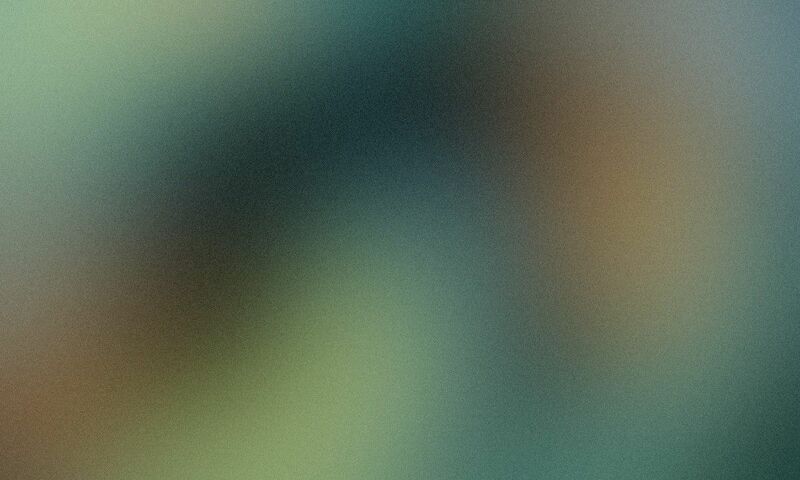 Check out footage from the chaotic non-release below. 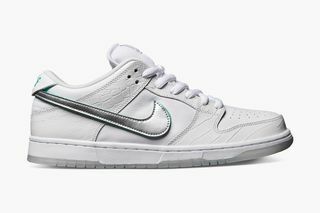 @nickydiamonds shares the Canary Diamond Dunk Low SB, said to be limited to 250 pairs and exclusive to @complexcon. 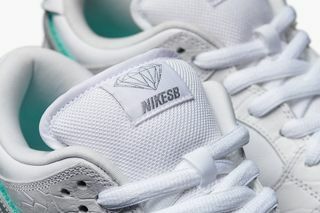 Diamond Supply Co. will also be releasing an apparel range that pays homage to the original “Diamond” Dunk, including a pink, black, and white T-shirt with different designs, as well as a black hoodie featuring two different graphics.